フォーラム » Everything Else » Chatterbox » What is an acheivement? What is an achievement - what does FFXIAH use to rank characters? An achievement would be to not care so much about a 15 year old game so much that you want to show off. an achievement would be not to care so much about what other people have of passion and wants to find achievement in, So much that you want to post about it on a forum. Hey man, whatever floats your boat. Just trying to help the guy. There are still some people that take this ***way too seriously, to unhealthy levels. Gotta care for your fellow human. Slow work day, so I have time for this. OP (short): Achievements are basically a visual representation of your in-game accomplishments; A ranking system Leaderboard for FFXI players. Everyone else (long): I always feel like its a "let people have their fun" moment. It shouldn't matter if some people value achievements no more than it should matter if someone chooses to spend 500 million in-game currency on one item, or if someone chooses to spend their vacation catching rare pokemon rather than sight-seeing. It's their choice, and it doesn't affect you at all. So at the end of the day "it doesn't matter", or at least shouldn't what another person values. Personally, you won't catch me giving a crap about an "achievement", because I'm not wired like that with the Leaderboard mentality to "be the best" amongst 'peers' of other gamers. You can check my online profile; I have no picture and have never registered my account for achievements (don't even know how to). I don't even use the third party software many others use. I just don't care enough to min-max every possible instance, and I have no interest in an online competition of others. It just does not matter to me at all to have a visual recognition of my gaming-work, whether from other players or myself. However, I do use scoreboard to test how I stack up against other players. That doesn't mean those who do seek that kind of approval or recognition are "losers". There are some people who seek that very same recognition at home, on the job, on the internet with people who could not give a ***about them (see: instagram models, twitch chicks), in the gym, and in society in general. Many people I know (most of them being my close friends) have that same mentality about competing with their peers in "Life" - they will look to date prettier girls and drive nicer cars and make more money; Not for their own happiness, but completely for others. To an extent, it's sad to me, but it is human nature to want recognition from others. Literally every person looks for some kind of recognition in some area of life, so it shouldn't be frowned upon for "Gamers". If it's not your cup of tea, keep it moving. Just let people have their fun is how I feel about it. If the guy in the gym is jacked and ripped to shreds, why do you feel so insecure about it that you have to discredit his accomplishments? The whole "he has no life" argument reeks of insecurity. Yes, some people don't have a life, but let them dig their own grave I always say. You gotta just let people do what they want and do what makes them happy. The only time I really am bothered by people with the whole "achievements" argument is when people start creating artificial standards based on their accomplishments and start judging others by it. As if you're not anywhere near their level just because they said so. i.e. "I CREATED THIS LUA FROM SCRATCH, YOU FKN PLEBS BETTER NOT ASK ME FOR MINE, SIT THERE FOR HOURS AND WRITE YOUR OWN. Oh you can't? LOLOL SCRUB"
An achievemen would be the reason why we pay $13+ a month to a company and invest countless hours so we feel good emotionally and feel our money/time is worth it. An achievement in ffxi can range from succesfully building a ls to beating an difficult nm to obtaining certain item to helping others. All of these are achievements that keep us playing and paying. Also to those who bashed the entire concept of achievement in FFXI, you do know that entire game is build on this concept and make money from players trying to achieve something in game isn't it? Game would probably shut down if no player care about achievement in a video game. why would anyone pay for something they don't care. Reading this thread is an achievement. When I manage to grind over 20JPs without falling asleep on my keyboard. Unlocked achievement for reading long paragraphs. Who am I kidding I didn't read any of this. Thanks for the reminder Negan. You are the real MVP. Where have you been on discord! I miss u so! Quote Shakespeare and get a “lame sauce” achievement. On the other hand, some people take great pride in their hard work, since achievements and character building is basically like a Gaming Career, to an extent. It almost validates them that they worked hard at something, and others can appreciate (or hate) on their accomplishments. I understand it more for a fresh game that more than a couple thousand people care about, but for this game it is odd to care so much still. Not to derail but being good at a real time competitive game versus real people is more impressive than being able to say you've spend 20,000+ hours of your life farming 50 RMEA too. I mean there is really nothing to brag about in FFXI when the equation is time=results. hitting 15 pages on a dead thread for the sake of ***posting. I need my character to accomplish this. Now that is an achievement I want to help you achieve ! Then why comment? No one has any idea why the FFXIAH page has a link for ranking of players based on "acheivements". I'm usually allergic to compliments for many reasons (we all have our issues, eh), so even when they may be objectively deserved, I don't really pay attention much. 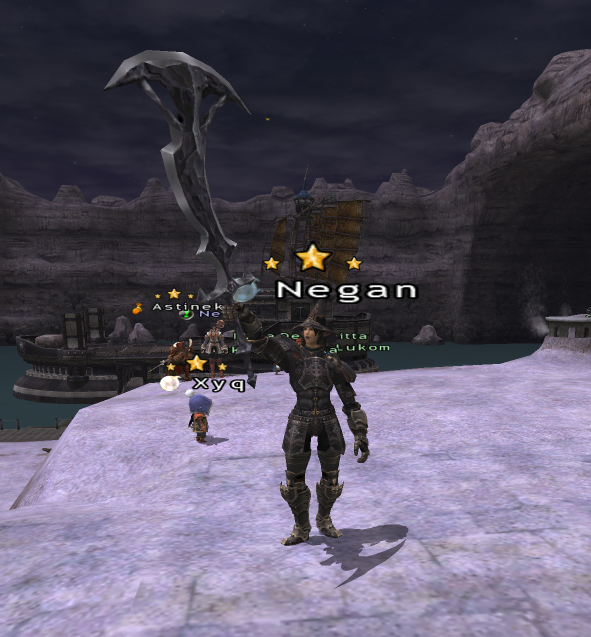 I think I've felt like I achieved something on FFXI several times but there was one time where I took a break from the crazy race that this game used to be and took a step back to better understand what had happened. That's when I got my D ring. Back then a lot of people hated my guts for X or Y reason, insults and ***talking was part of our daily life on the game, but when the ring dropped and I got it, it's like there was a sudden truce. People who wouldn't talk to me anymore sent me a tell talking about "efforts" and such, people who I thought would be mad as *** were actually recognizing the work put in. As much as it seemed "normal" to me, what I had done to get it, I was really touched by people dropping their ego and being so nice to me after all that had happened. I thought that these people were actually much more mature than I thought and I was myself (as much as I would never be jealous of anyone having it, I wouldn't outright congratulate them, though I would nod if someone mentioned their hard work). All of this to say that, sometimes, what makes it an achievement is beyond the player himself. Sometimes it can be a community achievement, back then we had server achievements (AV/PW, I guess server first may still exist somewhat) and sometimes, it's other people who will come to you to make you realize that what you consider as normal actually isn't just normal and is worth stopping for a second to enjoy the moment. That day, I was happy because I had gotten that ring but I was happier to have talked to those people and to have seen this much positivity. Shows you how much changed and how little ***matters now. Dring 15 years ago, you're the champion of the world. Clear master trials/Dienamis wave 3/Win AMAN Chest... couldn't care less. Getting DRG to 75 in 2005 was my greatest achievement. The only people who would have had it worse were people levelling PUP when it was new. One people, actually. And that's all it matters. You got something, beat something, made something, said something, or heard something in game. you feel good, and think "FFXI is FUN! ", then paid for sub next month. That's all it matters, what other people think about what achievement is doesn't matter unless they pay for your sub.